teoriapraktikumin muistiinpanot Johanneksen kirkon rakenteisiin. tietää, mikä on ideologinen fasetti. Missä on kaikkitietävä kertoja. pörhistellä. Nyt te olette kuin yksi iso sateen virvoittama varpunen. 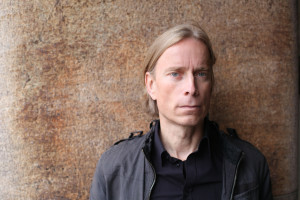 Olli Heikkonen was born in 1965 in Kontiolahti in eastern part of Finland. Nowadays he lives and works in Helsinki. He studied Finnish literature at the University of Helsinki. His first collection of poems entitled Jakutian aurinko (The Sun of Yakutia, 2000) is a journey to the imaginary Siberia. It got the success of both critics and readers and received the literary prize of the leading Finnish newspaper Helsingin Sanomat for the best first book in the year 2000. His second collection Kuinka maa muuttui musiikiksi (How the Earth Became Music) was published in 2003. In his third collection Jäätikön ääri (The Edge of the Glacier, 2007) he gives a voice to the elk, the mythic animal of Finnish forests. Powerful rhythm, strong images and concrete details are typical features of his poems. Heikkonen’s poetry has been translated into eighteen languages and is published in many anthologies and literature magazines. His next book Teoria kaikkein pienimmistä (A Theory of the Smallest of All) will be published 2015.